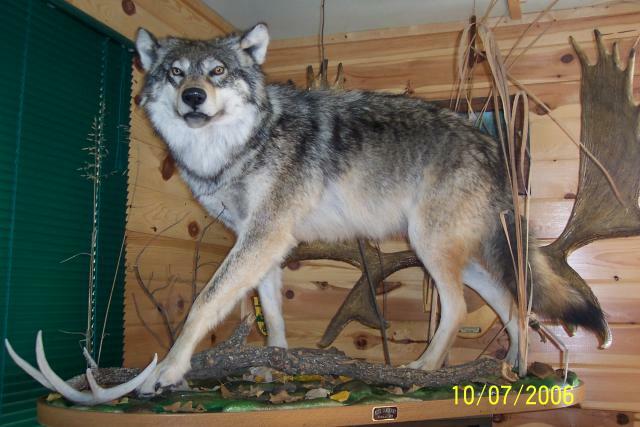 Timber Wolf we harvested while Deer hunting. Although not a large number of wolves here, Hunting Wolves has produced us two timber wolves during one Deer hunting season. The only Wolf Hunt we provide is combined with a Whitetail Deer Hunt. Eric with his Timber Wolf harvested during a Deer Hunt / Wolf Hunt. 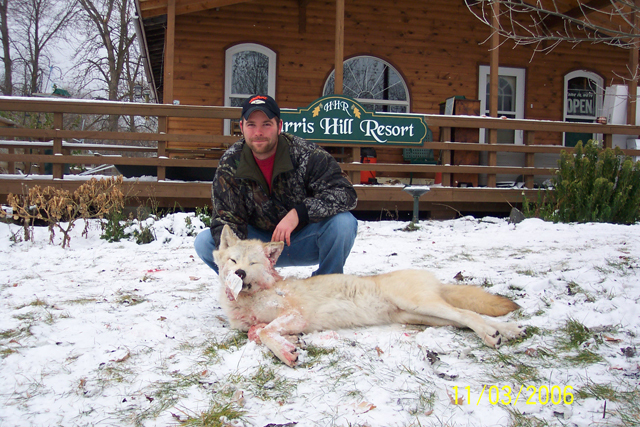 Chris with his Whitetail Deer & his "almost pure white" Timber Wolf. Deer Hunters can harvest Timber Wolves as part of their Whitetail Deer Hunts by purchasing the proper Licenses.